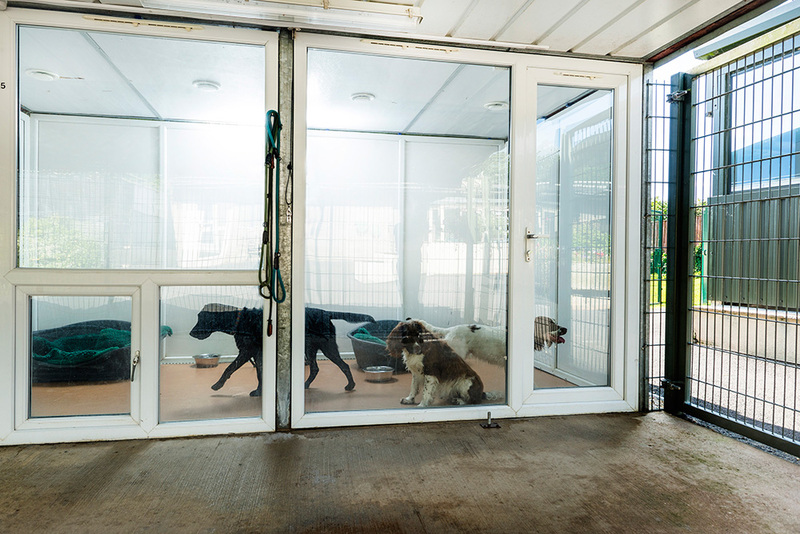 Purpose designed with many of the elements imported from the USA; our super clean and comfortable apartments are worlds away from traditional kennels. Glass fronts, uPVC walls, and acoustic ceilings give dogs a quieter environment, an unobstructed outlook and a familiar home-like feel. 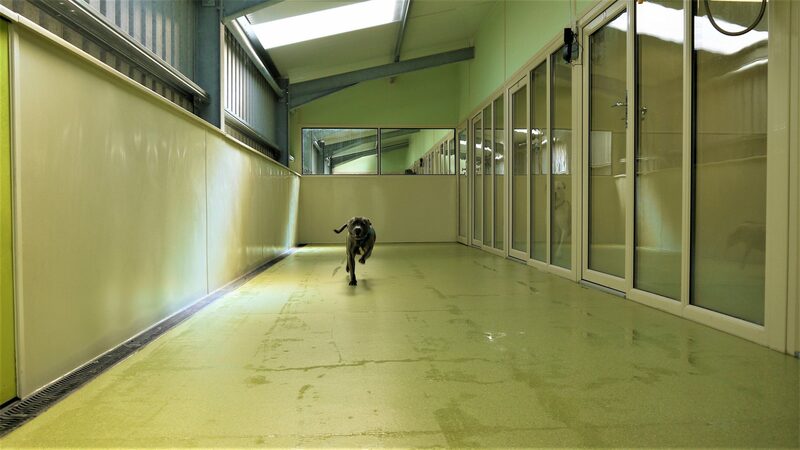 Climate control at a constant 19 degrees year round ensures an optimum temperature combined with soft and hygienic veterinary bedding and right size beds keep dogs very cosy, and anti-slip flooring gives them complete security underfoot. The tranquil, deluxe-size apartment is decorated in the style of a child’s bedroom and has a single bed with an orthopaedic mattress. The room includes a television and DVD player (bring your pet’s favourites films) and privacy curtains for the evening. A stay here includes our Golden Heart service (see below). A large and quiet apartment with wonderful country views. Air Conditioned with uPVC walls and acoustic ceilings for a quieter more comfortable environment. Anti-slip flooring also used for additional comfort. Double the size of the Premier Apartment, this is ideal for larger breed family groups. 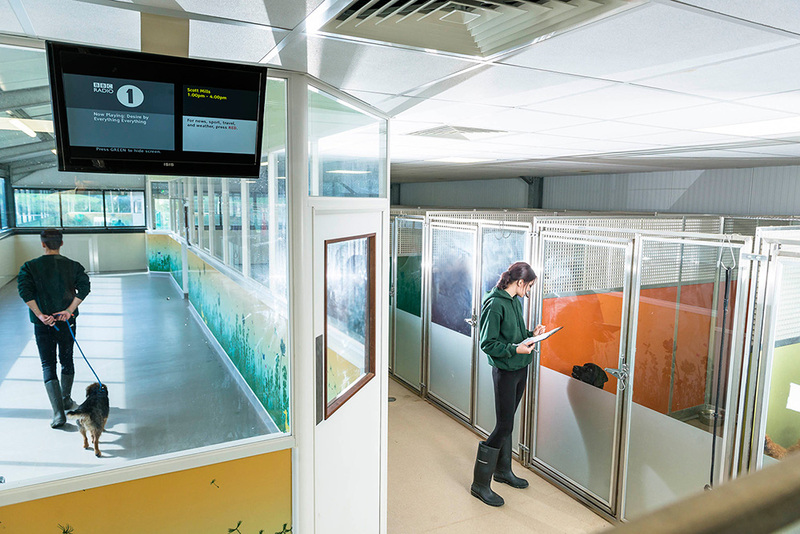 It has a separate interconnected bedroom/ bathroom, with a pop hatch providing access to both sides 24 hours a day. These brightly coloured apartments look out onto a wide walkway and have an exclusive spacious indoor run. All apartments have a view of a wall mounted television. Our newest addition to Hydegate. These spacious apartments are divided into 2 areas with separate covered runs with fantastic views of Hydegate’s meadow walk. 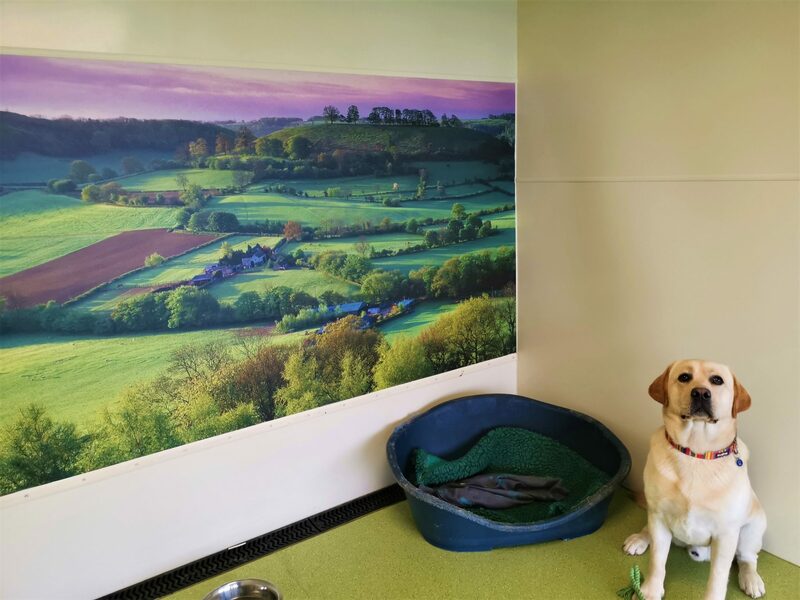 The outdoor runs provide fantastic elevated views of the surrounding countryside also visible from their spacious and brightly coloured rooms. Family units (137ft2) are also available for multi-dog families. There is also the option of an extended family suite for larger breeds or multiple smaller breeds. Our newest addition to Hydegate. These spacious apartments are divided into 2 areas with separate indoor runs. Ideal for quieter dogs who may not like the distractions of the outside world. The large indoor runs come with comfortable rooms including air conditioning, anti-slip floors and acoustic ceilings. Situated in Meadow View, this spacious deluxe-sized apartment is decorated in the style of a child’s bedroom and has a single bed with an orthopaedic mattress. The apartment has an attached covered garden which allows our guests to come in and out as they please throughout the day. 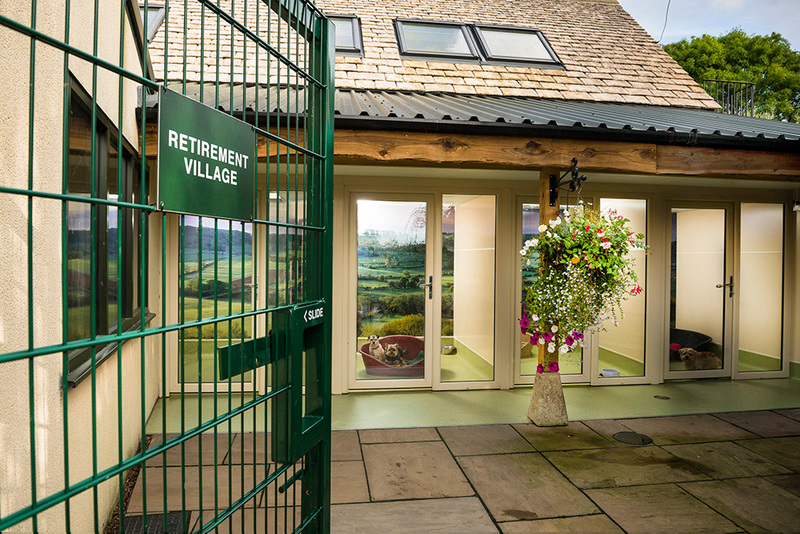 Set away from other dogs and apartments, our Retirement Village provides a quiet and relaxed atmosphere for older pets. The apartments adjoin the family home and look onto a private tranquil garden. We place huge emphasis on dogs’ emotional and physical wellbeing. We provide fantastic care as standard as well as an extensive choice of extras. We make sure that we fit with your dog’s feeding habits, likes, dislikes and routines, and give you a full report when you collect. 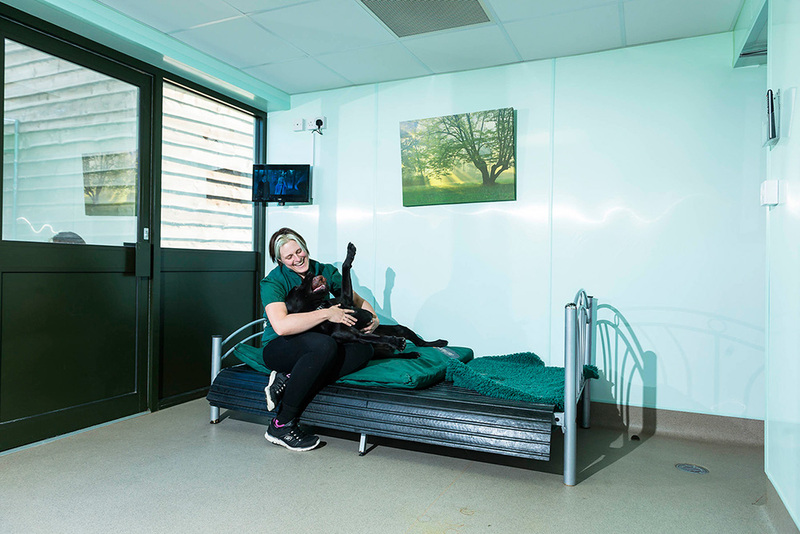 Along with daily play, cuddles and health checks, our expansive site with paddock and off-lead enclosures, provides plenty of secure space for healthy daily exercise. 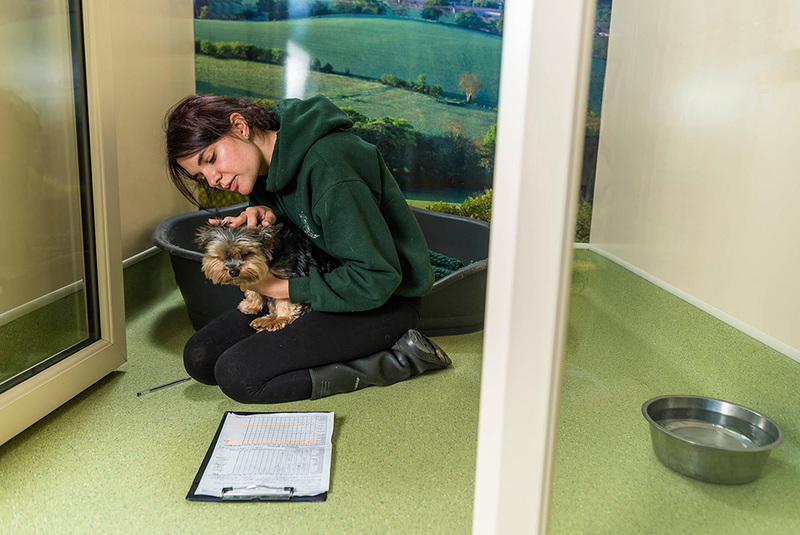 We have staff on site 24 hours a day and the vets we use visit round the clock. 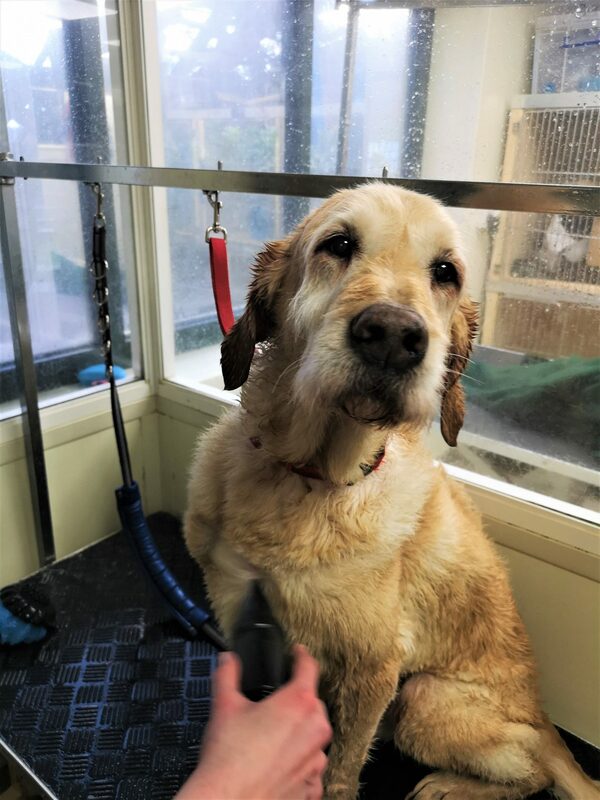 When you come to pick up your dog, we’ll give you a copy of our recorded health checks, discuss them with you and let you know if we have noticed or addressed anything during the stay. A full 40 minutes a day of activities or sessions in addition to our standard care. Choose from the extra care options to suit your dog. If your dog is on a special diet or your preference is not on our list, we’re happy for you to bring in their own food.